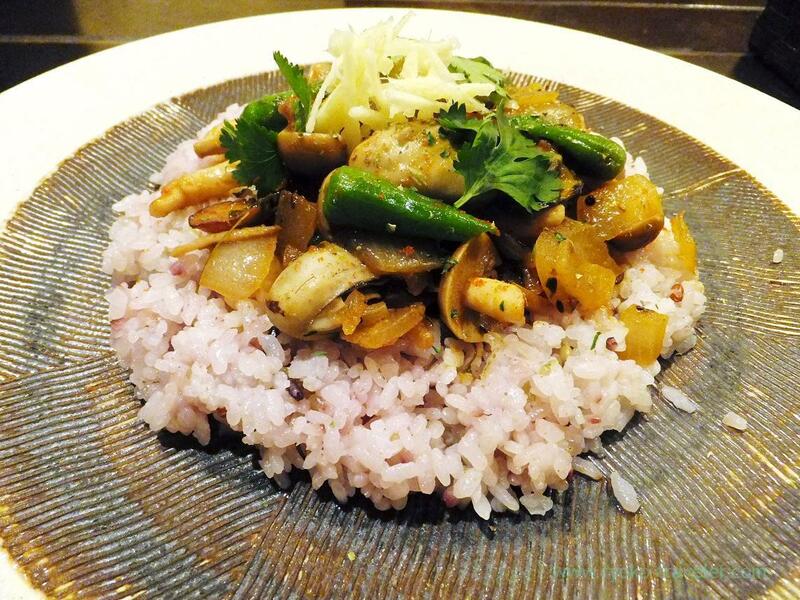 Now weekly special is Oyster curry ! Hurry ! This was second time. Last time’s post is here. Curry set (1300 yen)Curry set (カレーセット, 1300 yen) had an assorted appetizer and a dish of curry. 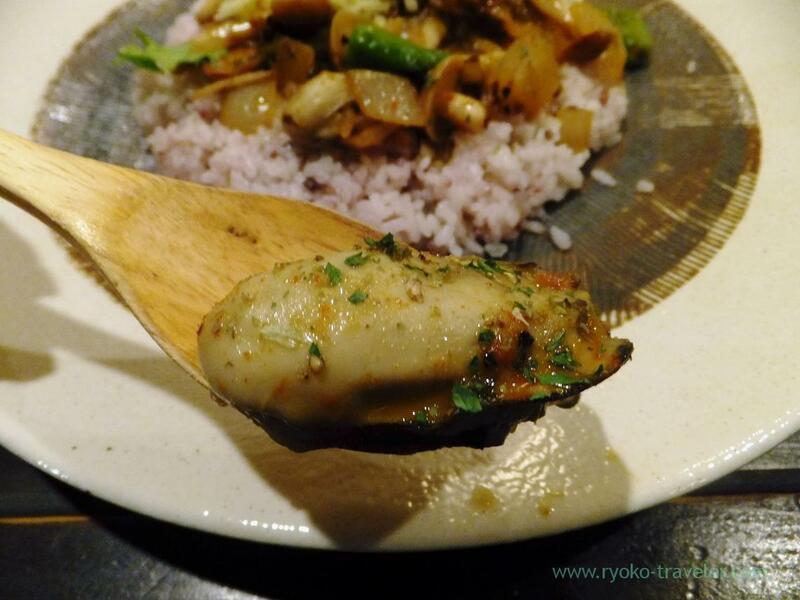 I choiced a oyster curry that was weekly special from three kinds of curries. 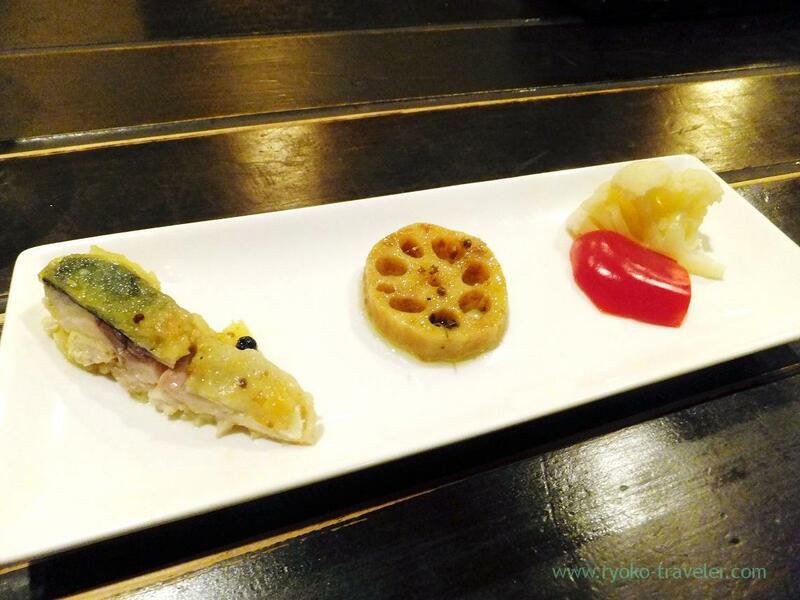 That day’s assorted appetizer was, from left to right, pickled deep fried mackerel, marinated lotus roots in oil and pickled vegetables. About 4 oysters were on the dish. This oyster was the biggest 😛 Sooo tasty. It was too good to be eaten. 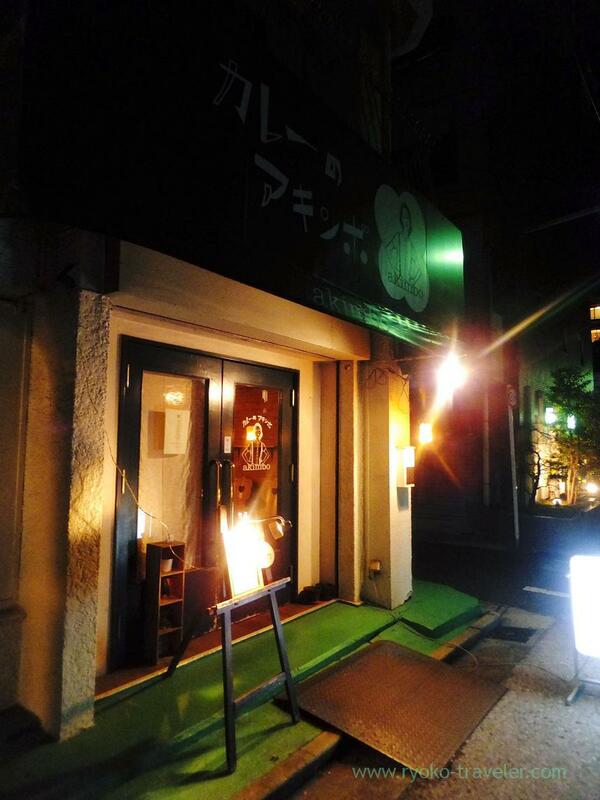 I wanna eat it again.Before that, I have to eat Akimbo’s regular curries. Chicken curry, Lamb keema curry…. Akimbo is a little far from Kinshicho station. But tasty curry is waiting for you !